Collection of 'Smart Padlocks for You' to protect your belongings in a smart way. 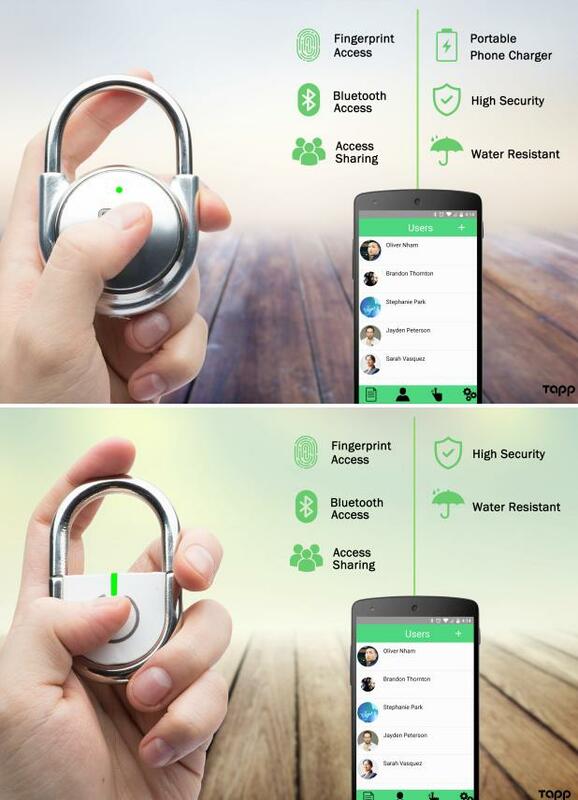 Tapplock: Tapplock and Tapplock Lite are smart fingerprint padlocks that you open with your unique fingerprint. No more forgetting combination code, key, or smartphone. These unlock with a tap in under one second using your unique fingerprint. These can store up to 200 fingerprints, you can customize the time, location, and duration of access and give anyone access to your lock from anywhere in the world using its app. These come with a builtinalarm that activates if the lock is cut or if an unauthorized tries to open it. You get notifications from your lock in real time. These are weatherproof and Tapplock doubles as a portable phone recharger. 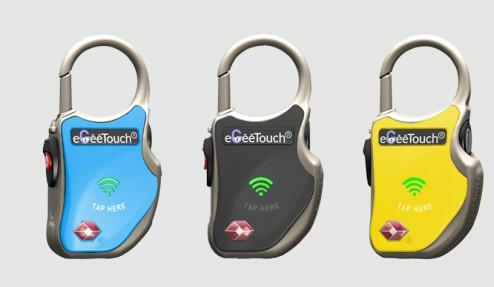 The Tapplock lasts up to 3 years on a single recharge while the Tapplock Lite comes equipped with a replaceablebattery that can last up to 6 months. These smart padlocks are compatible with Android, iOS and Windows devices. Reserve Now: Tapplock Lite $39 and Tapplock $66. 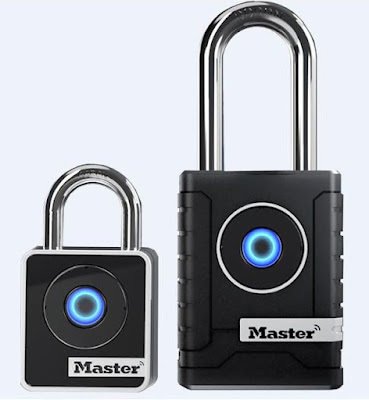 Master Lock Smart Padlocks: These Bluetooth Smart Padlocks let you secure what matters most in your life and put the control back in your hands. It makes your phone your key; if you have your phone, just touch any button on the lock and open it. And if you don't have your smartphone, then just enter the directional code on your lock keypad. You can use your smartphone to give access to others, and it comes with tamperalert so you can focus on what's most important to you. 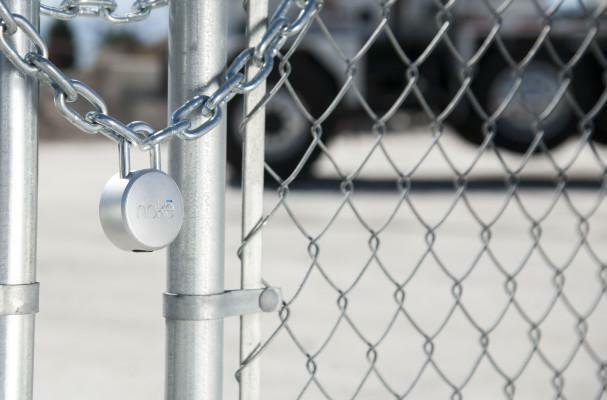 Model #4401 is an outdoor Bluetooth smart padlock and is weatherproof while Model #4400 is an indoor Bluetooth smart padlock. 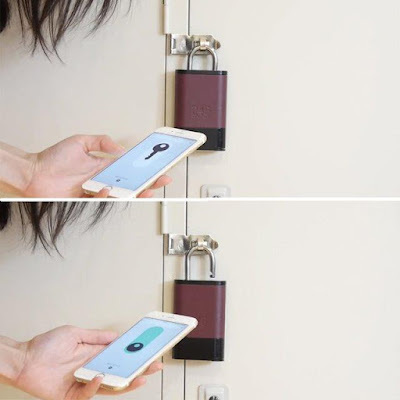 These smart padlocks are compatible with Android and iOS devices. Buy Now: 4400D: $49.99 and 4401DLH: $59.99. Noke Bluetooth Padlock: Noke is a Bluetooth Padlock that only needs your smartphone to get started. It uses Bluetooth technology to connect to your smartphone. When clicked to unlock, it searches for your phone and if the phone is within a few feet, it will instantly unlock. And if you don't have your phone then you can create your own access code using its Quick Click technology. Using its app you can share keys easily. It's compatible with iOS and Android devices. Buy Now: $69.99. Bluetooth Enabled Smart Padlock: This Smart padlock works with your smartphone to unlock. Using its auto-unlock feature you can unlock it with the push of a button on the padlock. Requires no keys or combinations. Using its app you can share its key easily. It's compatible with iOS and Android devices. Buy Now: $49.95. 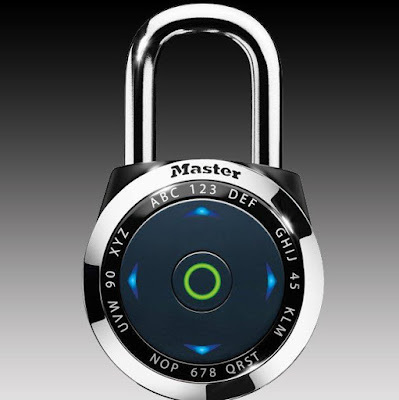 Locksmart Bluetooth Padlock: The Locksmart Bluetooth Padlock gives you trackable keyless security. Install its app on your smartphone; it uses Bluetooth technology to connect to your smartphone and you are good to go. You can use your smartphone to give access to others, and remove access just as easily. Using its app you can manage multiple locks. On a recharge, it lasts up to two years or as many as 3,000 'opens'; you can simply recharge it via micro USB. Its weatherproof and you can use your lock in temperatures from -20 to +70 degrees celsius. It's compatible with iOS and Android devices. Buy Now: $89.95. 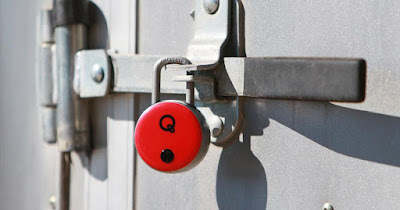 Quicklock Smart Padlock: The Quicklock Smart Padlock opens using Bluetooth plus RF/NFC. It provides 4 unlocking methods, access tracking, is durable and weatherproof and energy efficient. It uses your smartphone, wireless-enabled NFC card, Quicklockfobs and rings for instant unlocking. It's compatible with iOS and Android devices. Buy Now: $69.99 - $124.99. Bluetooth Padlock: The 246 Bluetooth Padlock is a smart padlock that turns your smartphone into your key. It's compatible with iOS and Android devices. Buy Now: $191. eGeeTouch: eGeeTouch is a smart travel padlock that comes embedded with deal state-of-art proximity access and vicinity tracking technologies that secures your personal belongings in your luggage / travel bags and requires no key. 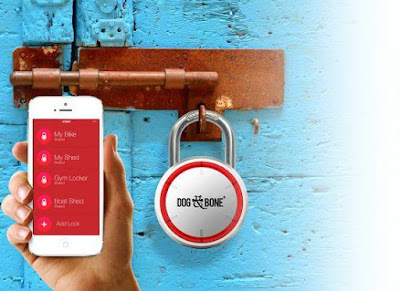 Features One-Touch to unlock using smartphones, smart wearable, NFC tags/sticker and more. It's compatible with Android and iOS smart devices. 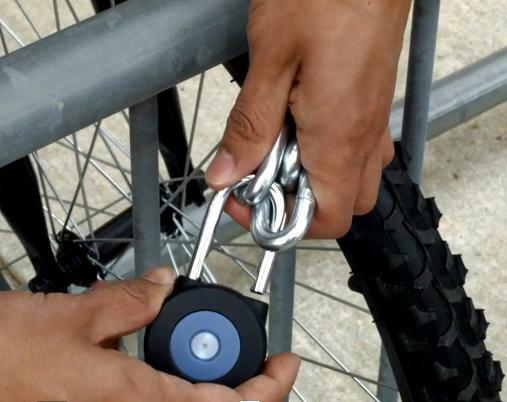 This smart travel padlock is TSA friendly. Pre-order: $35.